Connie Milstein is a co-founder and principal at Ogden CAP Properties. and One Lincoln Plaza on West 64th St.
Visit Ogden CAP’s website for more information. As one of today’s leaders and a trustee on the Democratic Leadership Council, Connie Milstein is entrusted with identifying and supporting the nurturing and promotion of tomorrow’s leaders today. Through the DLC Fellows Program 25 up and coming leaders are identified as showing promise in the DLC’s goals of developing reform and the exchange of ideas. These emerging leaders are brought together to discuss their views and ideas and the current trends towards reform in the United States. These DLC Fellows will guide the national network of state-by-state leadership training workshops. These workshops have already come together in 22 states. A Successful Agenda of Reform and Improvement– Through research and education via the publishing of reports, cutting-edge solutions, hosting working sessions and forums we will advance the reforms we support on the major challenges facing us today, such as health-care reform, education, energy, trade, economic and fiscal long-term responsibility, and more. A Belief in Pragmatism and Not Ideology– We believe we need to look past party politics and ideology and concentrate on finding practical solutions to the issues we all agree are urgent. We want all Americans to work together to achieve our goals of a better life for all. Get the Country Moving Again– Employing reform with responsibility we want to move past the inertia of current politics. We hope to aggressively reach out to promote our ideas and the goal of reform. We plan on working jointly and closely with the White House, Cabinet and the Congress. Connie Milstein is a trustee on the Democratic Leadership Council. As such, she is involved in the mission of the DLC, which was founded 25 years ago in order to win the forgotten middle class back to the Democratic Party. Today’s new challenge of the DLC is to help President Obama and other new leaders all over the United States to make real the dream of bringing a bold and fresh plan of responsibility and reform to the nation. Connie Milstein is passionate about leadership excellence. 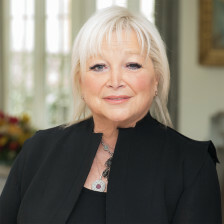 An influential entrepreneur, senior business executive and attorney in the real estate, hotel, and property development industries in New York City, Connie Milstein is powered by passion, business sense and vision.